Excellent. I intend to use it in Sunday School and in my family. — Robert J. Matthews, former dean of Religious Education at BYU, former member of the Church's Scriptures Publication Committee. 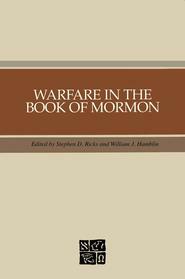 I consider this book to be one of the finest treatments of the war chapters in the Book of Mormon now available. Youth and adults alike will find the discussion, commentary, and application provided by this work to be extremely useful. — Robert L. Millet, former dean of Religious Education at BYU, co-author, Doctrinal Commentary on the Book of Mormon. Brother Bytheway shows that the stratagems of warfare are frighteningly similar to the stratagems Satan uses to ensnare God's children today. Spirited, lively, and insightful, this talk on CD illuminates a large section of the Book of Mormon that is sometimes overlooked. Just love this book. It is entertaining and informative too. I really like the easy explanations of each chapter, yet it almost reads as a novel. He makes it feel like you are there while he tells you what is happening. Awesome !!!! I love this book. He covers everything so well. I do not know if John will read this or not but I would like to point out something he might have missed. 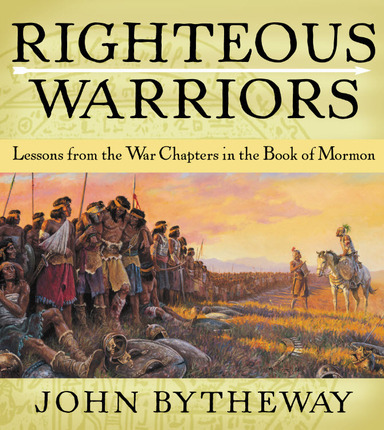 There is something that Mormon includes in the war chapters that John may not have noticed. There are three main Nephite commanders, other then Heleman, that Mormon takes the time to point out by name. They are Moroni, Teancum and Lehi. In the first great battle it was Moroni and Lehi that surrounded the Lamanites and forced them to go home without an oath of peace. If there was a Nephite General that the Lamanites feared next to Moroni it was Lehi. Now lets keep that in mind, they rather fight anyone else and every time an Lamanite army finds themselves facing Lehi their first move is to run. There is only one time when they willing attack an army led by Lehi, and it is in Alma 49. Just as a refresher the Lamanites march into the Land of Ammonihah and seeing the defenses there retreat back into the wilderness and march towards the City of Noah. During that march the Zoramite and Nephite apostates leading the army make an oath that no matter what they find they and their army will attack Noah no matter what. Now comes the fun part. Just as John points out they see the city and it's better defended then Ammonihah was. Moroni had anticipated just how the Lamanite army would act but Moroni went one step further. 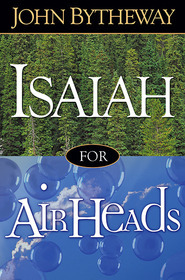 He placed in command of the City of Noah his most trusted commander, Lehi. Imagine the look on the Apostate Nephite commanders as they look up at those walls and saw the fortifications then to their horror something catches their eyes, fluttering in the breeze if the flag of Lehi. They look up with dread but because of their oath in they go. Now as soon as all of the Apostate Nephites are dead the Lamanite army retreats. Interesting, huh. I was originally introduced to this book while serving as Young Women President in our ward. We used it as our theme that year for girls camp and it was one the girls have never forgotten. I've used the things I learned as enrichment for many youth and Relief Society lessons. My husband recently used it again as his theme for Scout camp. Once again, it was one of the best Scout Camps they've had (according to our Bishopric) and testimony meeting last fast Sunday was full of our young men bearing testimony of the spirit they felt. 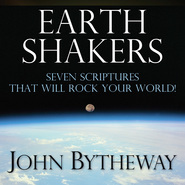 I own the CD and the book and have filled my scriptures with markings from what I learned. I have always loved Bro. Bytheway but this book has given many in my circle of influence an increased love of the Book of Mormon! I know Brother Bytheway's presentations are meant for teens but I'm a 60-something adult and I find his talks and presentations to be simply wonderful. I was heading home from a temple trip and stopped at the local LDS bookstore to find something to listen to on the way home. I knew nothing about him but the cover was interesting and I thought the subject would be a serious study of The Book of Mormon. Boy, was I in for a hilarious shock! I began laughing within the first few minutes and soon the tears came as I laughed so hard I had to pull off the road. It is still one of my favorites and having seen a live presentation on TV it is even better. What impresses me most about his talks is though they get you laughing there is always a great lesson about the scriptures or the importance of maintaining standards. I now remember, and understand, more about what happened in those chapters from this CD. The humor held my attention and I didn't realize until later how much explanation followed along underneath. This seems to be Brother B's MO and I love how he combines the two together. I'm looking out for my Captain Moroni action figure and keeping a close eye on the worms. Listeners will understand. Bravo Brother B. Your errors are not just for teens but those of us a "bit" out of our teens can enjoy and learn as well. Keep up the good work. Parents take notice! His CD's and DVD's should be required for all members of the family, yourselves included. Best all around family fare there is. Thank you so much for your insight on the war chapters of the Book of Mormon. As I read, I now see things so differently and can apply teachings in a whole new way. I have hope that I can been like the city of Noah--once the weakest but now the strongest. I had seen this book but paid little attention to it until last year when I heard John Bytheway speak in person about the war chapters. He spoke in his usual excitement and comedic charm. The Spirit was there and I was amazed at how the war chapters opened up. Mormon abridged this so that it was in plain sight, and after reading this huge part of Alma for years, it finally all came together. 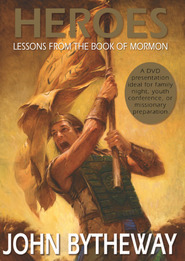 The next day I rushed to Deseret Book to pick up this book and it went more in-depth than he did while he was speaking. I recommend this to everyone! This year (2008) we are studying the BoM in Sunday school and I have taught this to the youth and watched as their eyes were opened and they received light and knowledge. I used this a lot while teaching Seminary. I just love the book, the CD, and the DVD--have them all. I have used over and over while teaching and for my own edification. He makes the stories come alive. One of his best talks ever!!! Absolutely wonderful! It really made the Book of Mormon come to life. There were so many insights on the war chapters. 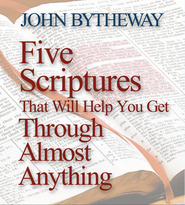 I can't believe that I overlooked so many messages during my many readings of this special book of scripture.